Can you imagine a Marriage Proposal celebration without music? Neither do we! After propose your partner take her to a local flamenco show and conquer her forever! 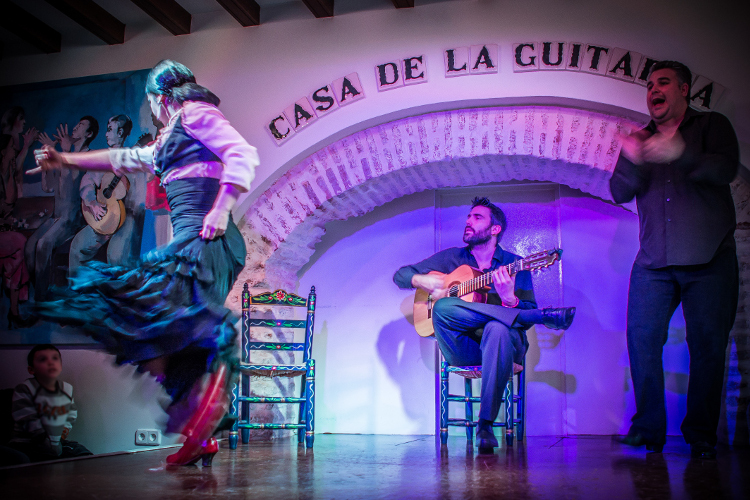 There are many flamenco shows around the city, but if you want an intimate and cozy place to enjoy the real Spanish music we recommend you to go to la Casa de la Guitarra. The show will start with a Spanish solo guitarist accompanied by a flamenco singer. After the first round two flamenco dancers will incorporate to the show and will do a breathtaking flamenco dancing where you could listen to the sound of the stamp of the heels. You could find la Casa de la Guitarra in calle Meson del Moro 12. 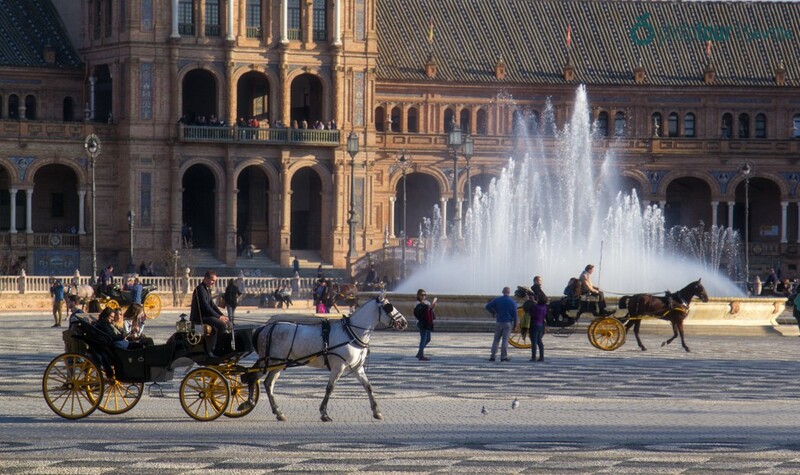 If you want to make your partner feel like a real princess we highly recommend you to have a ride with her in a Horse Carriage around Plaza España. Once you accomplish successfully your Marriage proposal you can approach to one of the drivers and ask him for a nice Horse ride around the plaza. You will see the treasures of Plaza España from an unique perspective while you enjoy with your partner of a romantic ride. After the activity, the driver will offer you to take a photo of you and your partner inside the Horse carriage, so you could have an unforgettable memory of your Marriage Proposal! 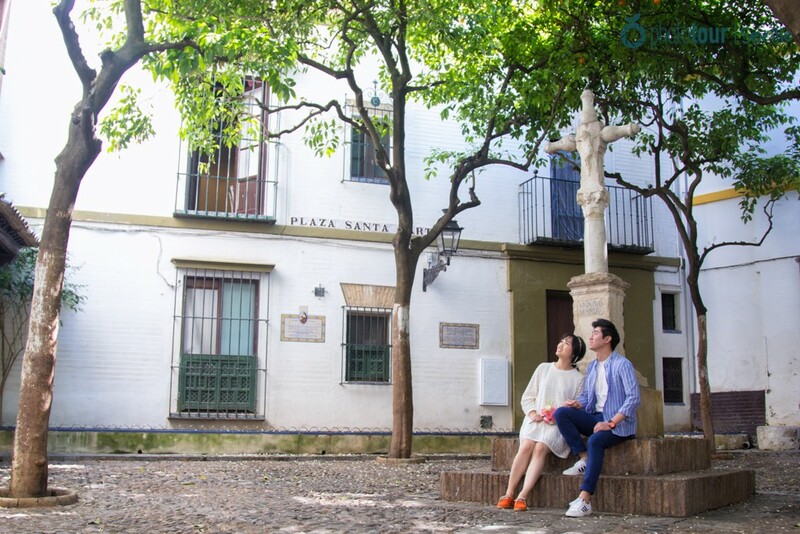 Going to visit Barrio Santa Cruz is one of the best things you can do in Seville, but is even better if you plan to make your marriage proposal there. Known as the jewish neighborhood, Barrio Santa Cruz is a little area full of narrow streets and beautiful hidden plazas that will make you fall in love rapidly. If you are looking for an intimate plaza away from tourists you need to visit Plaza Santa Marta. This hidden plaza is located in a perpendicular street to Mateos Gago (behind the Cathedral), and it has the highest orange trees of the city. You could enjoy your Marriage Proposal in a singular place and feel part of the history of Seville! Weren´t you thinking about making your Marriage Proposal without having photos of the moment, right? Every special celebration need photos in order to immortalize the moment, and so do a Marriage Proposal!. 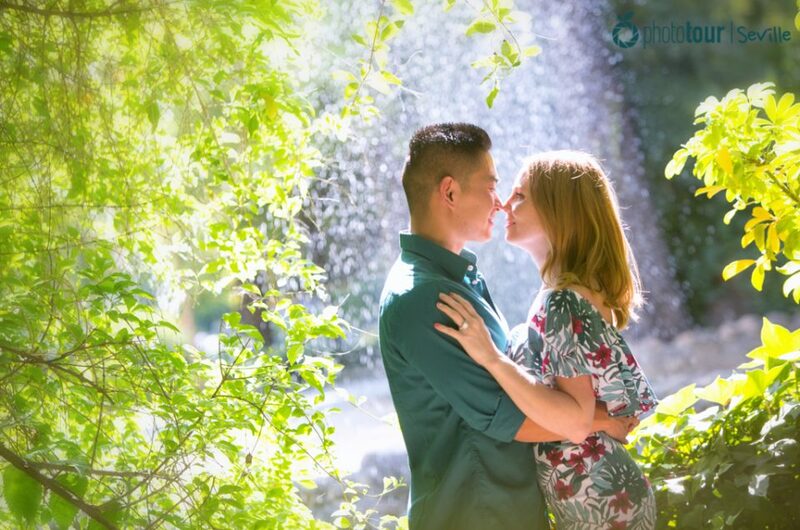 If you want to be sure that you will have a professional reportage of your declaration of love you might want to hire one of our photographers! 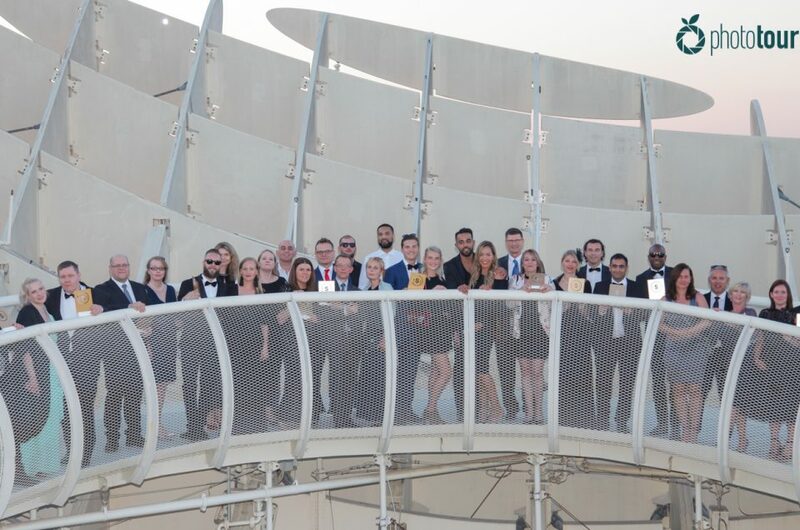 Our crew is experienced in immortalizing unique moments of couples in love from all over the world. Our clients always ask us about the best places to perform the marriage proposal and we love to advise them! 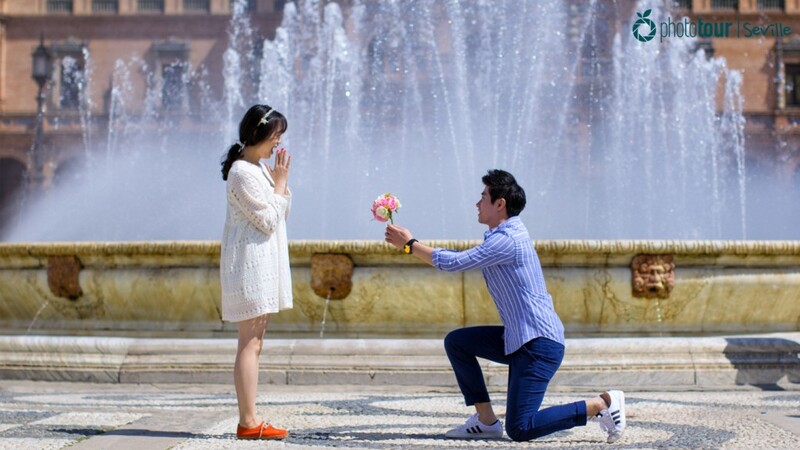 Did you got enough ideas in order to celebrate your Marriage Proposal in Seville? Remember that you can always ask us for advices about things to do and activities in the city. Don´t be shy!, drop us a line and tell us your plans! We will be happy to help you out with your Marriage Proposal!